Being a parent is an awesome responsibility. We're our kids' first — and most important — role models, and we're their biggest cheerleaders. But when it comes to getting exercise and being physically active, are we cheering our kids on enough? Unfortunately, data suggests that we aren't. 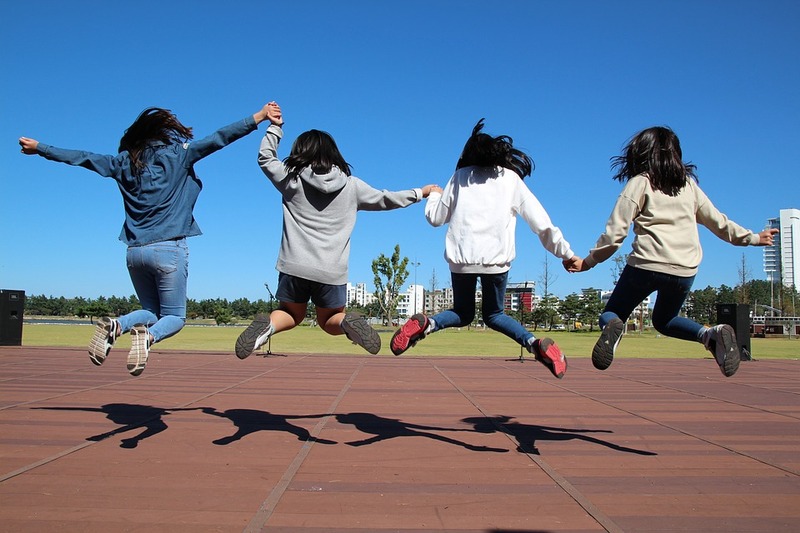 Adolescents need 60 minutes of physical activity every day. However, the 2015 National Youth Risk Behavior Survey found that only about 27% of high school students participated in at least 60 minutes of physical activity on each of the seven days prior to the survey. Boys (36%) were more likely than girls (17.7%) to get the recommended amount of exercise. This means that our kids, especially our girls, are missing out on some incredible lifelong health benefits, including lowering their risk for chronic diseases and improving their chances of becoming healthy adults. Physical activity and sports also make for a healthier, more enjoyable childhood. According to a Women's Sports Foundation study (link is external), organized sports are associated with children's general health and body esteem, healthy weight, and educational achievement. Also, children's involvement in sports is often associated with more harmony, cohesion, and communication with their parent(s). What's more — girls who are not involved in team sports are less content with their lives than girls who do participate, because sports enhance their quality of life. To me, the message is clear: We need to get more girls moving and signed up to play sports. How do we do it? As parents, there are things we can do to help foster girls' interest in physical activity. Don't underestimate the power of encouragement. Whether your daughter is an athlete or she's a little unsure about getting active, your support matters. If sports are her thing, commit to making it to an extra game each week, cheer her on a little louder from the sidelines, or tell her how proud you are of her dedication to her activity. If she's more hesitant, back-to-school is the perfect opportunity to encourage her to be more active. School and community-based sports and activities may help her start fresh, and you can work together to identify options that meet her interests and abilities. If organized or recreational sports aren't her thing, encourage her to walk or bike to school, or she and a friend can walk, jog, dance, or practice yoga together. Getting active with a friend makes it more fun! Plus, they can hold each other accountable. Get moving together. Not only will this help your family get the recommended amount of physical activity, but it's also a great opportunity to spend quality time together. Research suggests that being active with your kids favorably influences emotional and social development. You can make it fun, too. Choose activities the whole family can enjoy, like swimming, biking, or hiking. Your local recreation center is a hub for great activities — both indoor and outdoor. They have programs for kids and families, too! Be a role model. This one may seem obvious, but setting a good example is key. If you enjoy physical activity and model an active lifestyle, your kids will be more likely to show interest in it, too. That may feel like a lot of pressure, especially if you're not very active now. But this doesn't mean you have to hit the treadmill for an hour every night. Start small, and set achievable goals for yourself. (You can read about how I've done this, too.) For example, let your daughter see you track your steps, take walks, or dance in the living room. Healthier habits for you will translate to healthier habits for her. It's a win-win! As parents, it's part of our responsibility to guide our children, and that includes helping them develop healthy habits that can last a lifetime. Let's get our girls moving so they can reach their full potential!